Last night, I made the drive down to Greenville, SC to watch a screening of Burn: One Year on the Front Lines of the Battle to Save Detroit. I have been following the film online for the last couple of years, and I have kept a close eye on it as funding for the film has continued to be a battle. 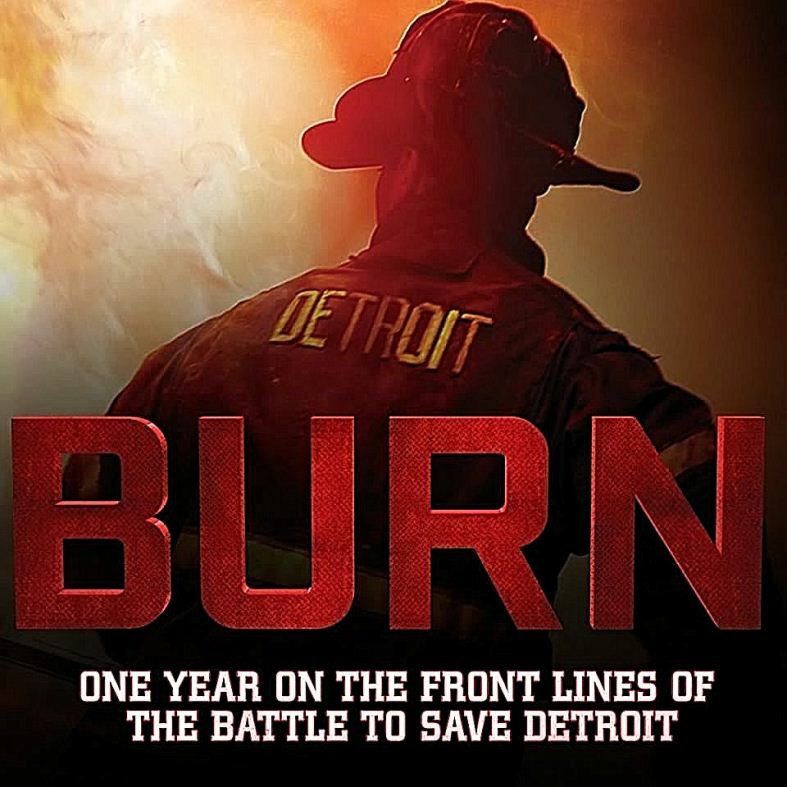 The documentary follows the men and women of Detroit Fire and highlights the political battles, budget limitations, and personal lives of the firefighters. The film is about so much more than just the hard economic times that DFD is facing. It is a film that the general public, city councilmen, and firefighters across the country can all relate to and learn from. I am not a film critic, and do not claim to be…but below is a brief summary of what you will see in the film. BURN highlights the deteriorating population of the “Motor City.” At one time the population in Detroit was 1.8 million people, and to date the population has dropped to just 700,000. While it used to be a booming city full of jobs in the auto industry, it now has nearly 80,000 vacant structures. The city has plans to demolish nearly 3,000 of those structures each year, but on a daily basis it pushes the DFD to its full capacity. The city of Detroit averages 30 structure fires a day, and their staffing has dropped from 1,800 firefighters to just around 900 firefighters today. They are fighting a losing battle with their apparatus, gear, and equipment being tested to the limit. The film does a great job of showcasing these issues. BE SURE TO FOLLOW THIS BLOG ON FACEBOOK BY CLICKING HERE. Brandon Milewski’s story is one that will leave you fighting to hold back your tears. Milewski hired in the DFD at a young age of 20 years old, just as I did. After being on the job for 11 years, he was injured during a building collapse on August 13th, 2010. He sustained severe injuries that left him paralyzed from his chest down. The film covers his determination through the major changes in his life, strenuous therapy, and his road to recovery. Since viewing the film, I found a video from Detroit news that covers the story as well. In the follow-up story, he used a device that allowed him to walk again. The film draws you in with his story as he recalls the incident. The BURN film still needs funding! The film was created after FF Walter Harris, a 17-year old veteran of Detroit Fire, was killed while fighting fire in a vacant structure. This is how the story inside of the DFD was discovered. The film is currently running a 20-city tour nationwide sponsored by MSA among other sponsors. They are hoping for a nationwide theater release prior to releasing the film on DVD. If you have a chance, go see it. If you have an extra dollar or two, donate. The proceeds from the film will go to the Leary Firefighters Foundation and will go back to Detroit Fire. I would like to thank Greenville Fire Chief Stephen Kovalcik, a Detroit native, for his time to get the screening in Greenville. Previous: TX Eastman, Working Fire, and BURN! TX Eastman, Working Fire, and BURN!